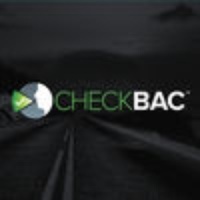 Check, an innovative new personal monitoring system, is designed to be the centerpiece for effective and enforceable prevention programs aimed at drunk driving, underage drinking and other alcoholbased social problems. Effective alcoholabuse prevention is only possible when individuals, families, schools, civic organizations and government agencies have the power to deliver a comprehensive effort that encompasses education, engagement, encouragement and enforcement. By combining comprehensive data capture and sharing capabilities with the most accurate fuelcell breathalyzer technology on the market, CHECK represents a powerful and versatile platform that enables such an approach. CHECK empowers users to transform their alcohol responsibility from “encouragement” to “engagement”. It provides industrybest accuracy, as well as safe driving options, hotel locations and other features not offered by conventional breathalyzer applications. But it also delivers a powerful, social component… Key process features include 1. Realtime video and audio documentation of user engaging breathalyzer with automatic "CHECK Report" sent to designated authority (parent, campus security, probation officer, etc.) 2. location 3. Automatic upload to server 4. Panic button feature 5. Automatic forward to friends (heroes) and/or designated authority (coaches, campus security, room adviser, etc.) 6. Walking directions to nearby hotels and restaurants © 2016 Driven By Safety Inc. Check these links to find your download for CheckBAC for & iOS or for your device iPod TouchiPadiPhone. The app CheckBAC is compatible with te following devices.